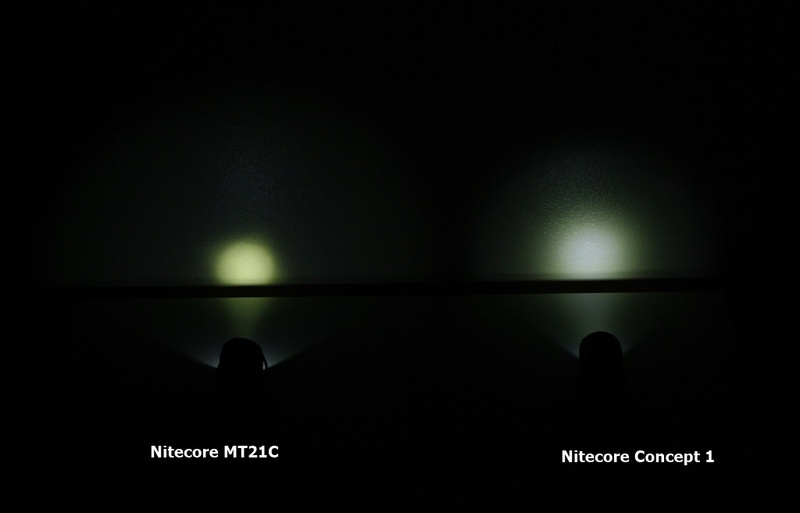 Once again performance on Turbo is well above the advertised performance by Nitecore , possibly understated to allow for lower performance batteries . There is little point giving current figures as they don't match the light output , once again the safety features built into the light to detect when things are not quite right with the battery . In fact it really boosts my confidence in Nitecore products when they take safety so seriously . Actually there are some 5 positions for the head . Straight ahead to 90 degrees ( 3 positions in-between ) . There is a spring loaded ball that sits in indents machined into the head mount . I don't see any wires , so either the spring loaded ball carries current or current is passed through some contacts on either side of the head where the mount is in the main body . ( Or both ) It looks to be an ingenious method and so far I have not encountered any issues what so ever . I have resisted posting a review for a while now as I wanted to use the light as much as possible to see if there were any problems and I have none to report . The MT21C has a relatively strong magnet in the tailcap which allows the MT21C to be mounted to just about anything a magnet might be attracted to from car bodies to rain pipes ( Pictured ) . This is a very handy feature as it allows the MT21C to be mounted under a car hood and the head angled for the best possible use . 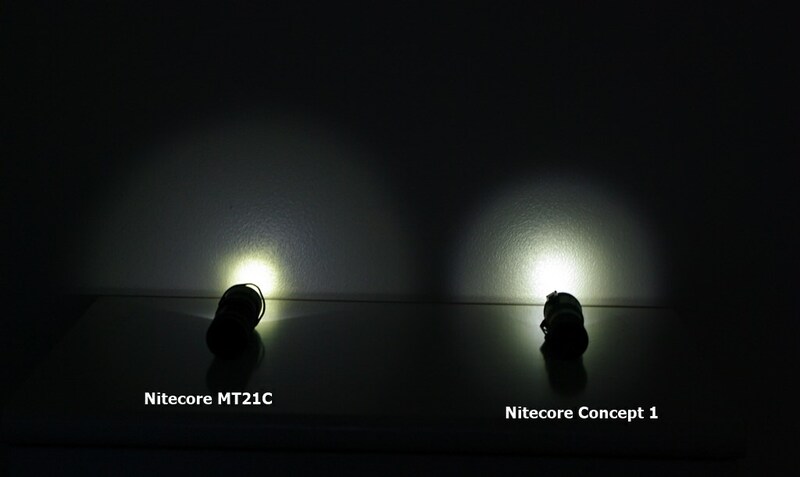 One sort of gets the feeling the MT21C is targeted for possible trades people or anyone looking for a work / emergency light . 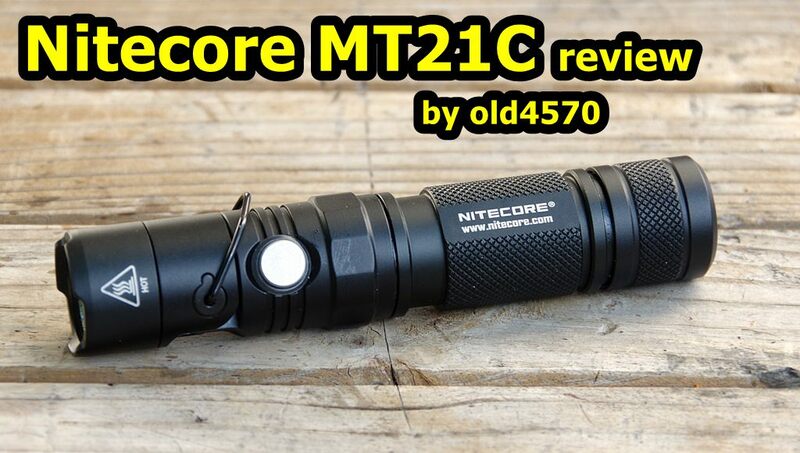 One that is actually capable of performing the task with little effort , certainly the MT21C is capable of producing a lot of light and putting it where needed . Battery State ( Voltage ) : With the light off , a quick press of the side switch will activate battery state ( MT21C will report battery voltage ) . There is a blue LED built into the side switch ( around it ) . If the battery is at say 4.1 volt then the LED will flash 4 times , give a pause and flash one more time . So to verify that the light reports voltages near enough to the truth , I popped in a battery that was 3.89 volts . I got 3 flashes a pause and 9 more flashes after to report 3.9 volts for the battery state . Turning the light on and off : Press and hold the side switch for approximately one second . The light always starts in Ultra Low mode . Sort Cut to Turbo : Press and hold the side switch till Turbo activates , as soon as Turbo turns on let go the switch . Over the last week or so the MT21C has grown on me , at first I was a little hesitant about liking it because it was - different . But in all honesty the MT21C has done nothing but impress me . If you were say a motor mechanic or just a handy man then I would seriously recommend you take a long hard look at the MT21C . 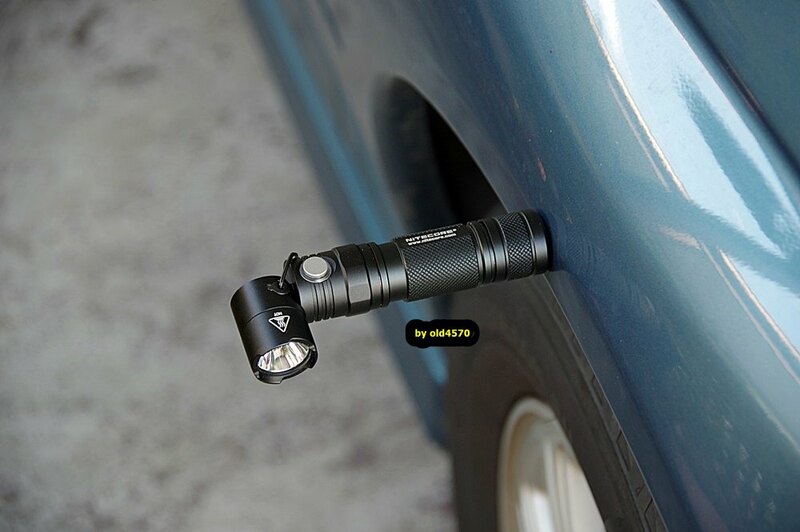 It is a relatively small light that can be put almost anywhere on a car and put light where you need it . 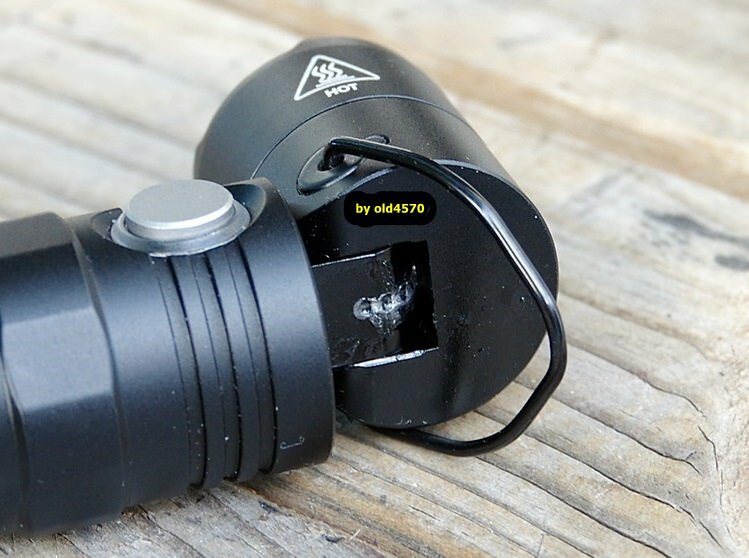 It would most likely also fit any headband out there designed to be used with a single 18650 light . I found the wire hanger built into the head an interesting idea . Get a ping pong ball , cut a hole in it and you have a quick and simple lantern ( Been there done that - and it works ) . 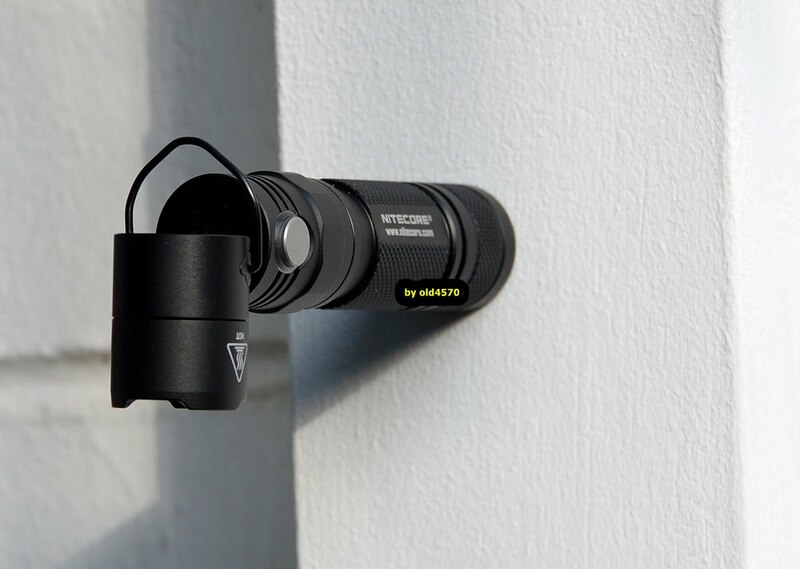 Quite simply another fantastic flashlight from Nitecore and this one seems to be clearly intended for people that do stuff and need light . Not sure I should call it a work light but it does seem intended for such . Especially as it seem so well suited for say some one like a motor mechanic . In no way or shape am I saying it cant be a camping or walking light ( I have taken it walking quite a few times now ) or that it can't be EDC . It does everything well , perhaps not the best possible at every task but it does more things well than most other lights . It has a tilting head , a magnet in the tailcap and puts out a lot of light for such a small package ( I measured a lot over 1000 Lumens ) . Negatives : Now with a separate head ( small ) from the body one has to wonder how it will handle heat . We are into the start of Winter here in Oz and it has been very cool ( Single digit temps at night ) and to date I have had no issue with Turbo , though I have not run Turbo for more than 30 seconds keeping in mind the design of the MT21C . Also one must remember that there is Thermal protection , which I have as yet not activated / experienced possibly because of the cool to cold evenings we have had . As long as you are sensible I simply don't see a problem . Also with the head pointed straight , there is contact between the head and body which will transfer heat . So the test was done with the head pointed straight and this contacting the rest of the body . Now with Turbo doing almost double the Lumen of high we should expect more heat , and as with any small light it pays to use the highest possible output sparingly . I don't see the tilting head as a problem , or a flaw . What I see is a light with a lot of potential and one that does what it was designed to do . 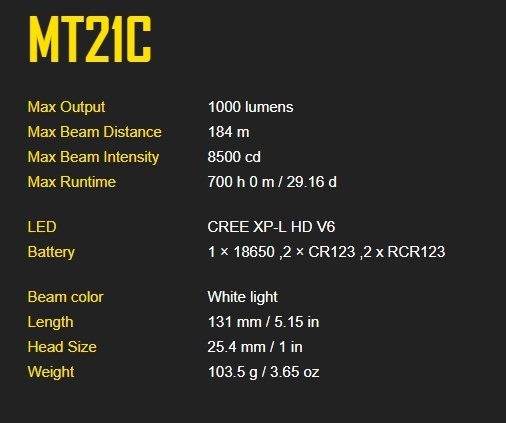 If your looking for a light to run at 1000 + Lumens for extended periods then obviously the MT21C is not the light you should be looking at . 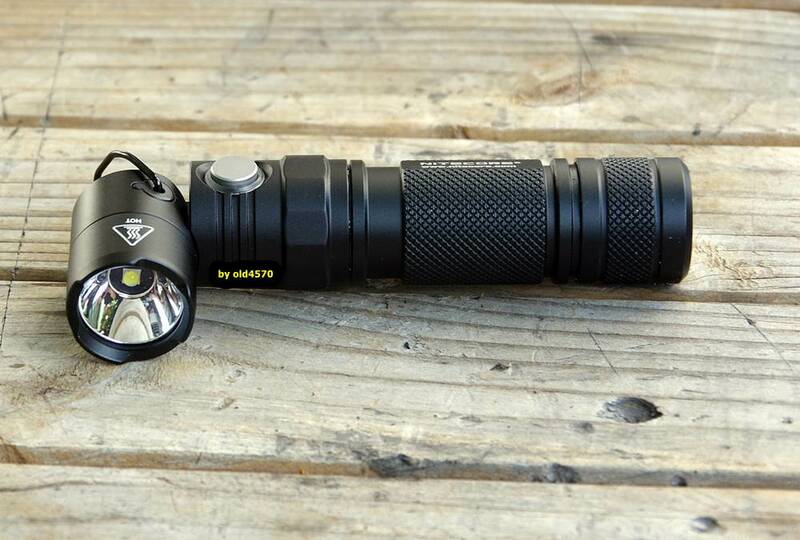 On the other hand , if you are looking for a light capable of doing a lot of things well . A light you can take to work or use to work on your car ( or anything else ) then , perhaps you owe it to yourself to consider the MT21C . Keeping in mind what this light was designed to do I can only give it a score of 10 out of 10 .